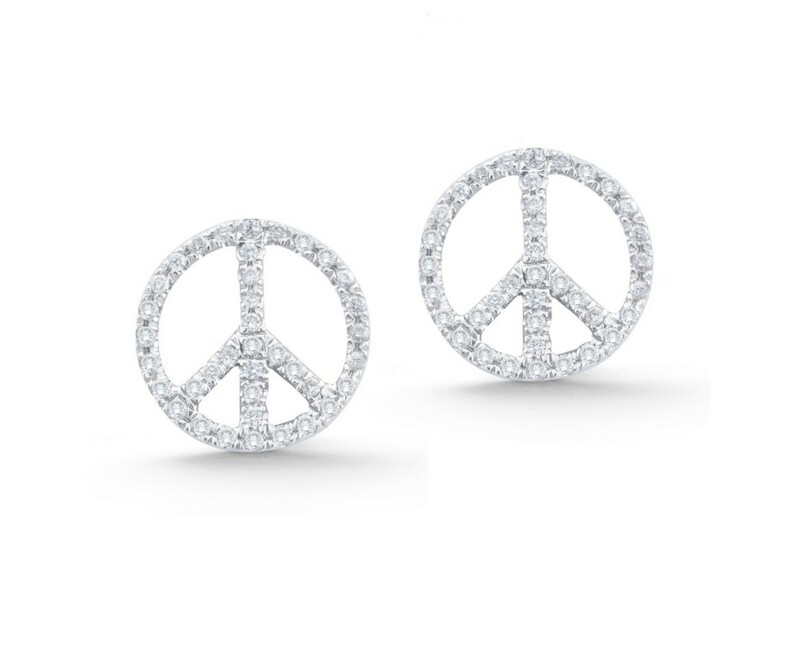 Brilliant diamond peace sign earrings. Each are handmade with bezel set diamonds. 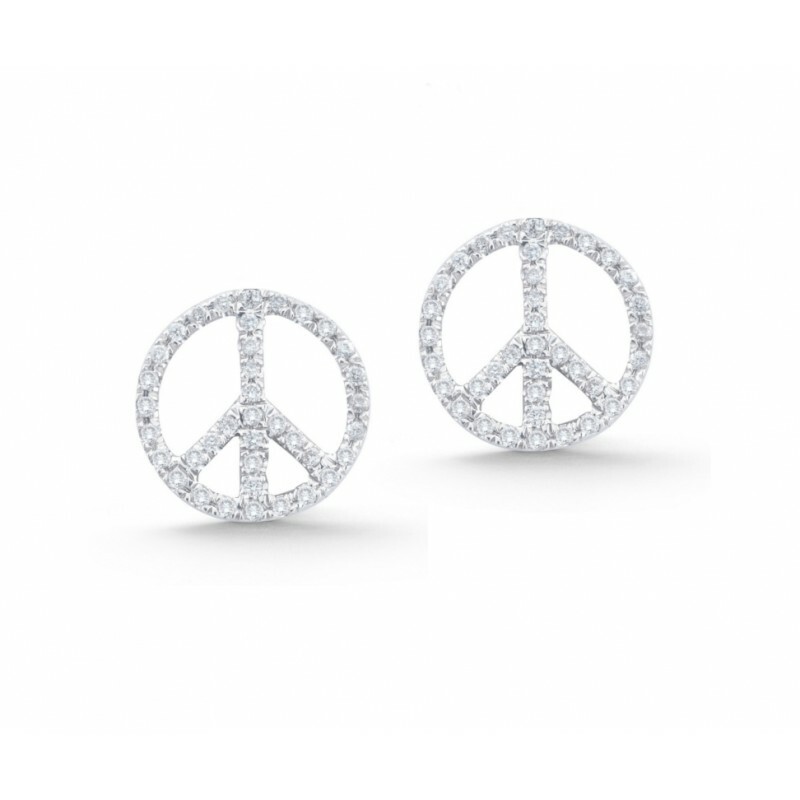 Available as single mix-and-match earrings or pairs.